Bringing Loving,Healthy puppies and families together! Reserving a Puppy here at Sherry's Maltipoos, we will only reserve a puppy for you with a cleared deposit or you may want to go on our waiting list. There is a $200.00 non-refundable deposit for us to reserve a particular puppy for you. Puppies are reserved on a first come, first served basis. Sorry, but puppies will not be held without a paid deposit. A deposit is your guarantee that I will not place the puppy of your choice with someone else. Your deposit also serves as my guarantee to you that you will be purchasing the puppy specified. If you place a deposit on a particular puppy and you change your mind for any reason and can't purchase your puppy, then we use your deposit to readvertise the puppy. Before you send a deposit please e-mail or call me to see if I am already waiting on a deposit on that particular puppy that you would love to have. Sometimes I have talked to someone about a puppy that they want and they are going to send me a deposit on it before I get to update my site. I do try to keep it as up to date as possible but we all know that there can be a lapse during transactions. Cash ONLY when you pick up your puppy. Absolutely NO Personal Checks or Pay-Pal accepted for final payment. Your deposit may be sent in any form listed above, but final payment must be in CASH ONLY. A deposit is $200.00 I will accept a personal check for a deposit when reserving your puppy as long as it has time to clear the bank before you pick up your puppy. Final payment must be received in cash only. NO CHECKS when you pick up your puppy. All puppies stay with me until they are completely paid for. No exceptions. You may also want to go on our waiting list and reserve a puppy before he/she is born. If you would like to reserve a puppy before they are born the deposit is $200.00 to get on our waiting list. We do have a big demand for our Puppies. Visit our Waiting List page for more information on our waiting list procedures. We are a Maltipoo breeder offering maltipoo puppies for sale across the USA. We breed Maltipoo Puppies that are healthy, loving, smart and pre-spoiled. The Maltipoo is a cross between a maltese and a poodle read all the information that we have provide about the maltipoo breed. You can find more information on our site about our adorable maltipoos, maltipoo, Maltipoo puppies, Maltipoos for sale, Maltipoo puppies for sale, maltipoo breeders, Maltipoo Colors such as Red, Apricot, Black, Black and White, Cafe au Lait, Brown, Blue, Bronze, Cream, Gray, Silver, Silver Beige,Phantom and traditional White. 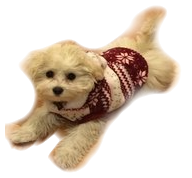 Maltipoo Sizes such as tiny toy maltipoos and toy maltipoos, maltipoo waiting list procedures, delivery your maltipoo puppy, maltipoo puppy supplies that you will need for your new puppy, how to train and care for your new maltipoo puppy. NOTE: Our featured puppy Kaia is not for sale. Please do not process a reservation request for her. You may reserve your Maltipoo Puppy with a $200.00 non-refundable deposit. Your deposit is applied to the price of your puppy. Sorry, puppies can not be held without a deposit. Remaining balance is due in CASH upon delivery. You will find links to Other Cockapoo, Maltipoo and Yorkie-Poo Resources on my site. There are so many wonderful resources on the Internet for pet owners however, I do not assume any liability for the content of these other resources. Amanda at Amanda's Poos is our daughter. Site and Contents property of Sherry's Maltipoos. All rights reserved. No part of this web site may be reproduced in any form. This includes graphics on this site. Do not copy any of our information on our web site. We've spent a lot of time,making our web site unique and appealing to our visitors and it is offensive to us,to find other sites that have copied our content and especially when they are word for word.. This site is owned by Amanda Stone Jernigan and maintained by Amanda Stone Jernigan and Sherry Stone. Designed by Allcore Technology. 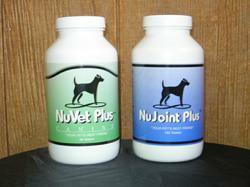 We are not affiliated with any other breeders or sponsors.